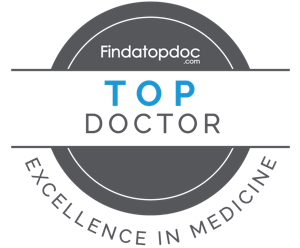 I have recently signed-up with a website called Find a Top Doc, which helps people find medical professionals in their area. You many have noticed my Top Doctor Badge at the bottom of each web page. As part of this relationship, I am periodically ask to respond to patient questions posted to the site. I thought it might be useful to share one of these questions and my response here. Experiencing numbness and pain after elbow fracture treatment. Why is this happening? I am a 28-year-old man and I recently underwent an elbow fracture treatment following a major accident that I had. Post the surgery, I am experiencing a lot of pain along with sudden numbness in the affected area. What could be the reason behind this? To really give a good answer, I would need to know more about the fracture and what type of surgical procedure was preformed. The elbow is a complex joint involving three different bones. Which one(s) was fractured, in what way, and what was done to repair it? Also, the three main nerves that supply the arm and hand, all pass through the elbow at various locations. Generally, pain, numbness, and tingling sensations are all caused by some type of nerve irritation. It can happen at any point along the nerve, from the nerve ending (like when you get pricked or cut), to the nerve body (like if you have carpel tunnel impingement or hit your “funny bone”), to the nerve root (where the nerve exits the spine, this is what we call a radiculopathy). In any case, there are a number of factors that could be effecting your nerves and causing the pain and numbness you are experiencing. These include nerve compression or impingement (something pressing on the nerve), nerve irritation (inflammation or the affects of the surgery), or even neuropathy (damage to the nerve itself). Most likely, the pain and numbness will subside in a few weeks or even months. Depending on the cause of the neuralgia (nerve pain), joint mobilization or soft tissue treatments could help to speed the processes along. If inflammation is the (or one of the) cause(s) of the symptoms, anti-inflammatory medication or treatments (including electronic muscle stimulation and therapeutic ultrasound) could also be useful. Doctors of chiropractic, like myself, treat these type of symptoms frequently. You should consult with the surgeon and your primary care doctor for suggestions and your fracture must have completely healed before attempting any other treatments or procedures.